HER YIL GELENEKSEL OLARAK DÜZENLEDİĞİMİZ ACADEMY CUP SALON TURNUVASININ BU YIL 10. SUNU GERÇEKLEŞTİRECEĞİZ. 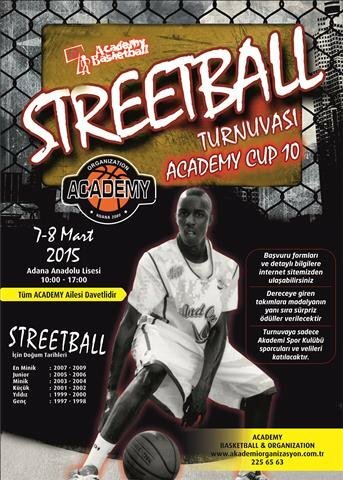 TURNUVAMIZ 7-8 MART 2015 CUMARTESİ-PAZAR GÜNLERİ GERÇEKLEŞTİRECEK OLUP BÜTÜN ACADEMY SPORCULARI KATILACAKTIR. TURNUVAYA KATILMAK İSTEYEN VELİLERİMİZDE TURNUVAYA KAYIT YAPTIRABİLECEKTİR.TURNUVA SÜRESİNCE ÜÇ SAYILIK ATIŞ VE YETENEK YARIŞMALARI DÜZENLENECEKTİR.